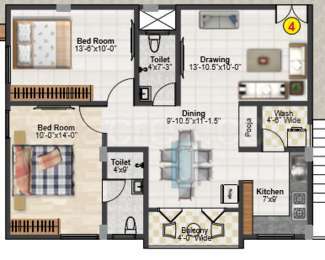 What is the area of apartments in Wonder Bharathi Hacienda? 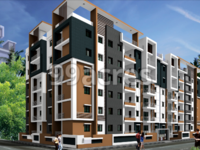 The area of apartments offered in the project ranges from 1039.0 sqft to 1597.0 sqft. 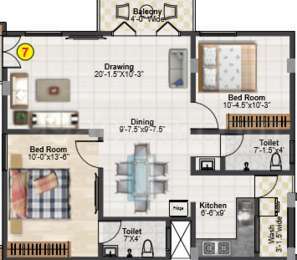 How much is area of 2bhk in Wonder Bharathi Hacienda? 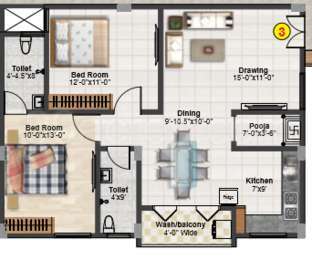 Two-room units (2BHK) in the project are available in an area of 1039.0 sqft to 1086.0 sqft. What is the area of Wonder Bharathi Hacienda?The total area that the project occupies is 0.5 Acres.